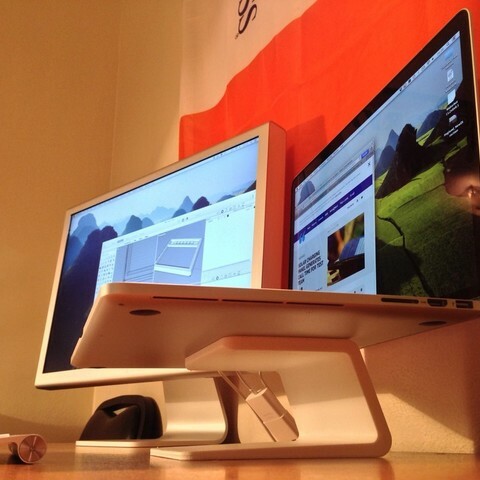 The Air Stand is inspired by Apple's iMac, Thunderbolt Display, and Cinema Display. There are similar products made of aluminum, but I wanted something that I could call my own. 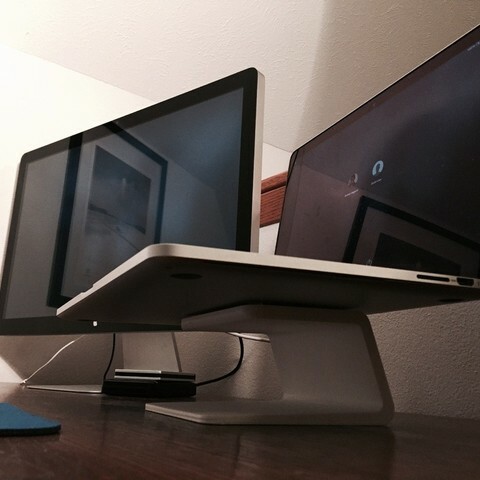 I use this every day with my Thunderbolt Display to free-up my desk space and to make my Macbook's screen level with my external display. 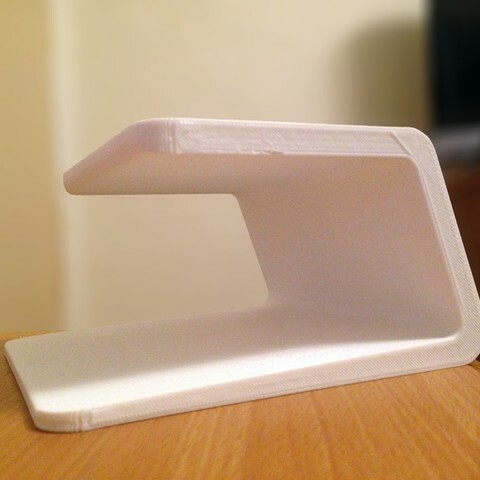 Printed at 0.4mm layer height to reduce printing time. The result is smooth, but if you have the time I would recommend printing at a smaller layer height. Otherwise I used the default settings on the Replicator 2, and it took approximately 8 hours to print.